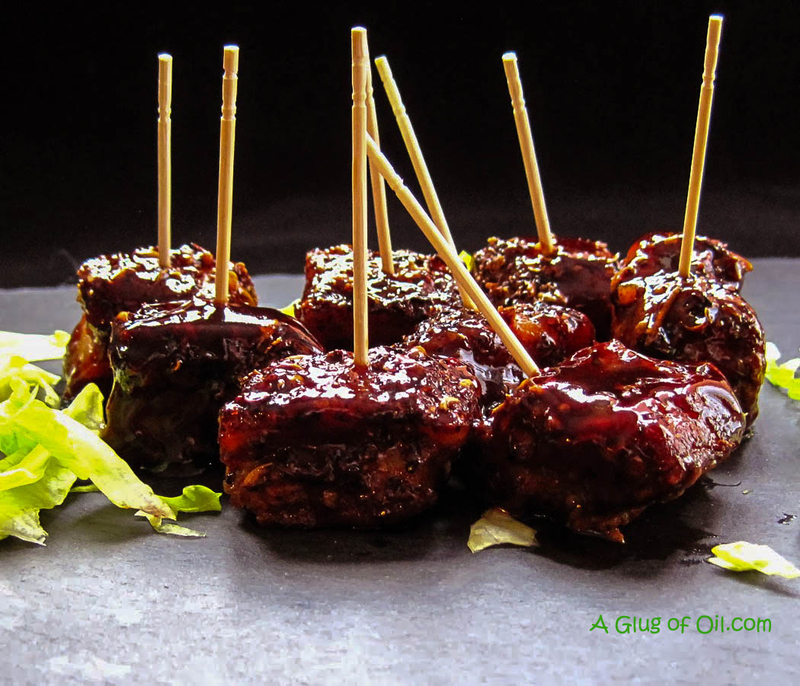 Still along the theme of 'Party Food Made Easy' here I've made Szechuan and Sea Salt Pork Belly Bites with a BBQ glaze, fantastic for all those Christmas and New Year parties! After spending 8 hours in the water oven the pork belly melts in your mouth, so delicious! 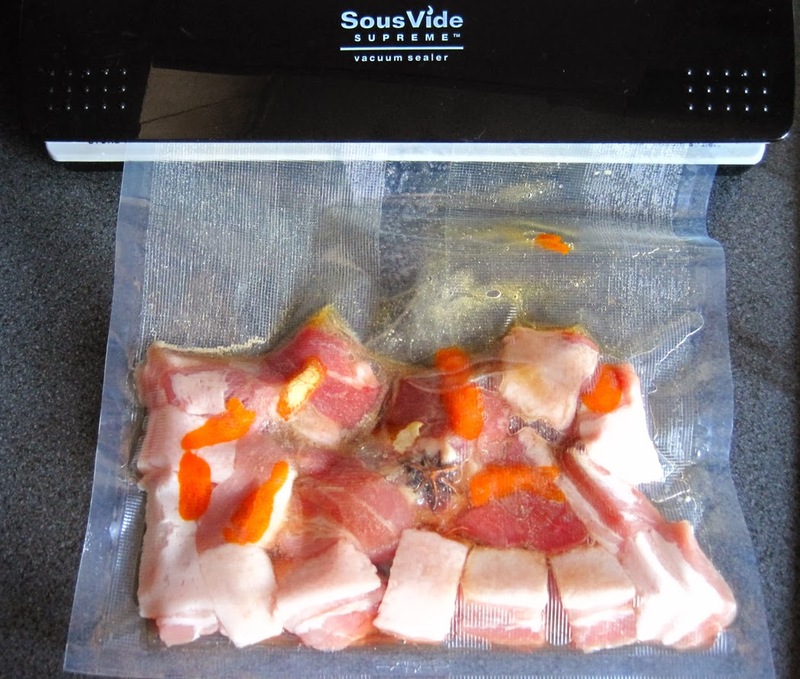 Pop the diced pork belly into a large 1 gallon sized special cooking pouches and spoon in the honey. Don't be tempted to add more as you could ruin your vacuum sealer - remember you don't want to draw honey up into the vacuum part. Add a good pinch of white pepper and give it a squish around to coat the pork well. Add the Clementine peel and the star anise. 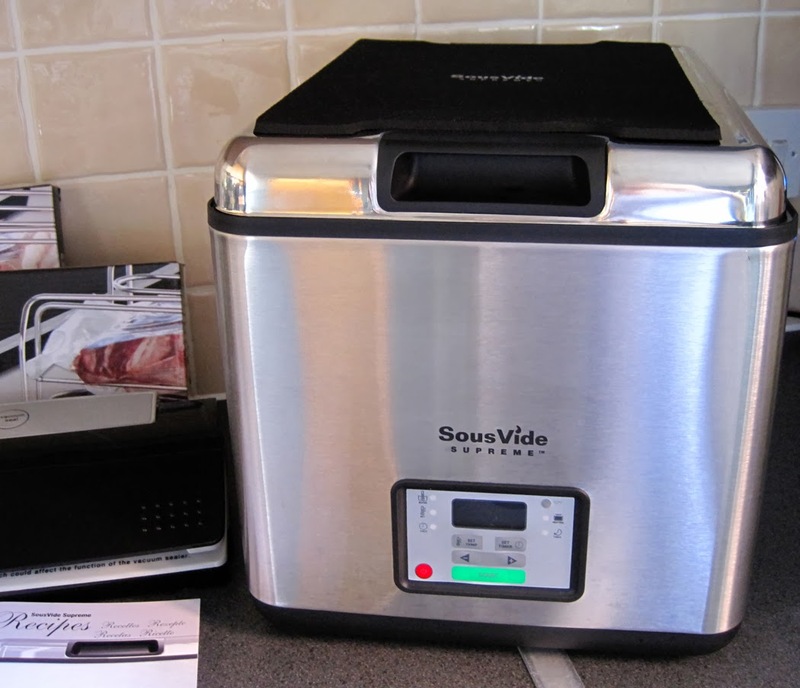 Seal the pouch using your SousVide Supreme Vacuum Sealer. Pop the sealed pouch into the water bath taking care that it is fully submerged and leave for a minimum of 6 hours - I left mine for 8 hours. Take care when removing and opening the sealed pouch as the steam will be hot. Cut open the bag and discard the liquid. Drain and pat dry the pork belly pieces. Mix the ground Szechuan peppercorns with the sea salt. Dip the fatty side only of each piece of pork into the peppercorn and salt mixture. Pop onto the foil tray and glaze with your chosen BBQ sauce and pop into the preheated oven for just 5 minutes - remember the pork is already hot and cooked through. 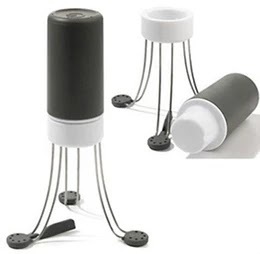 Insert a cocktail stick into each one and serve immediately. Now go and enjoy that party! Sous Vide Szechuan and Sea Salt Pork Belly Bites with a BBQ glaze, fantastic for all those Christmas and New Year parties! Pop the diced pork belly into a large 1 gallon sized special cooking pouches and spoon in the honey. Don't be tempted to add more as you could ruin your vacuum sealer - remember you don't want to draw honey up into the vacuum part. Add a good pinch of white pepper and give it a squish around to coat the pork well. Add the Clementine peel and the star anise. 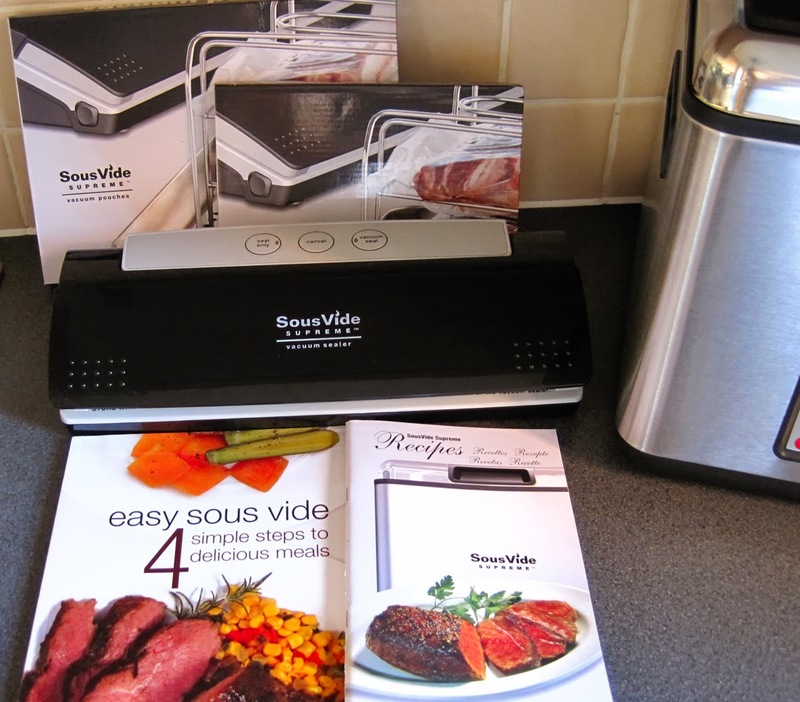 Seal the pouch using your SousVide Supreme Vacuum Sealer. Pop the sealed pouch into the water bath taking care that it is fully submerged and leave for a minimum of 6 hours - I left mine for 8 hours. Cut open the bag and discard the liquid. Drain and pat dry the pork belly pieces. Mix the ground Szechuan peppercorns with the sea salt. Dip the fatty side only of each piece of pork into the peppercorn and salt mixture. Pop onto the foil tray and glaze with your chosen BBQ sauce and pop into the preheated oven for just 5 minutes - remember the pork is already hot and cooked through. This looks amazing. I'd love to experiment with one of these machines. Hey its awesome. I am thinking to get one of them. So nice to get an idea about the BBQ Glaze. Thanks for this post.